The recent decision by the International Commission on Stratigraphy (ICS), ratified by their parent body, the International Union of Geological Sciences (IUGS), to alter the boundary date between the Quaternary and Neogene has been challenged by a number of leading academics and scientists. The length of the Quaternary had been extended by 800,000 years with the boundary change acknowledging the start of this period at approximately 2.6 million years ago and not 1.8 million years ago, the date formerly settled upon in the last review (1983). It had been argued that the boundary set at approximately 1.8 million years, did not mark a significant natural event such as environmental or geological changes. 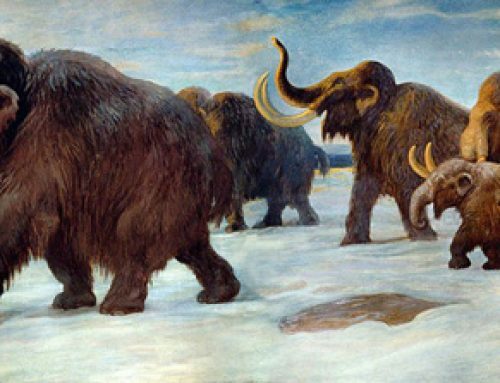 However, the change in the boundary, effectively putting back the start of the Quaternary to some 800,000 years earlier has caused consternation amongst certain groups of scientists. When the geological timescale is considered, it is very important to have widespread consensus over the dates involved. Each of the boundaries between an eon, era, sub-era, a period, a faunal stage and an epoch have to be carefully agreed, each boundary in the chronological order of geological time marking a natural event of some sort. However, when it comes to changing a boundary, even a boundary that has been established for a few decades (a tiny period of time when you study geology), there can be a lot of opposition. For a palaeontologist, perhaps focusing on the fauna of the early Cambrian, the change in the dating of the Quaternary may have little effect on their work. After all the likes of that wonderful and ever so successful group of Arthropods, the Trilobites had been gone for nearly 250 million years before the Quaternary/Neogene boundary. The same cannot be said for a palaeoanthropologist, a scientist more concerned with the rise of our own species rather than the Arthropoda. Any scientist working on human evolution will be greatly affected by the change in the geological timescale. The Paleoanthropology Society (American spelling), has started a petition, hoping to re-submit a case for maintaining the status quo and returning the beginning of the Quaternary back to the 1.8 million years ago starting point, as agreed previously. They make several good points, for example all the recently published literature, including most of the accepted texts on their subject are now all out of date (no pun intended). Secondly, when it comes to recording the use of stone tools and the development of our species, changing 700,000 years in the scale of things is a huge change. Our own species may have been around for less than 200,000 years, so a change of this nature is seismic (must stop using geology based puns). The Paleoanthropology Society cites that there has been an accepted boundary definition for 60 years based on historical, palaeontological and climatological data. They compare the proposed change to changing the holotype of a species, just because in the words of the Society’s statement “because the original [holotype] was not perfect, and a better one has been found later, definitions are fixed, and we work around them”. The Society hope to make a case and have it heard by the IUGS, but the IUGS have ruled that no review of their recent decision can be made for at least 10 years. This has been called “undemocratic” by the Paleoanthropology Society. To review the petition and the points made visit the Paleoanthropology website.